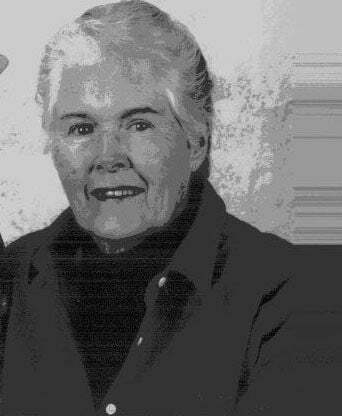 Sammye E. Johnstone Ugalde died December, 19, 2018 at Renown Hospital, Reno, Nevada. She passed unexpectedly of natural causes. Sammye was born September 29, 1933, in Winnemucca, Nevada. She was the first born child to parents Samuel Keith Johnstone and Mary L. Peraldo Johnstone. The couple would have three more children, Walter, Thomas and Ann. Grandfather, Walter Johnstone and father, Samuel, owned Paiute Meadows, Battle Creek and Clark Field. The ranches were purchased from Miller and Lux in 1925. Paiute was where the family lived until she was in the fifth grade. Then they moved to Clark Field. Sammye and Walt went to school at Leonard Creek for two years. The two would ride their horses back and forth or they would stay at Leonard Creek when the weather was bad and their folks would come get them on the weekend. From the time she was able to get on a horse, she would go everywhere with “Uncle” Bill Hudspeth. He was the cow boss. Mom thought the world of him. There were no fences so they would ride with the neighbors and bring their cattle home. He taught her how to drive a car, in his coupe. She had wonderful memories and stories of her childhood. A blond, long haired girl in bib overalls living and riding wild and free. When she was in the seventh grade, her mother moved into Winnemucca with the children, for school. Right after the move, the ranch was sold. She said she was like a coyote around town, scared of people. The” ranch-kid” from the Black Rock Desert, spent a lot of her time with her friends Jane and Tillie Boynton at their ranch, T Quarter Circle, down on the river. Her father, Sam, died in 1948, when she was 15 years old. Sammye graduated from Humboldt County High School in 1951. She went to floral school in Denver, for a couple months, returning to help her mother, Mary, with the Orchid Flower Shop. Sammye Johnstone married Daniel Ugalde, September 13, 1952, in Winnemucca. They lived in town until moving to Nine Mile Ranch, Kings River Valley, to help Dan’s mother, Paula, and his brother Emilio. The couple later purchased the ranch and that is where they raised their four children, Eddyann, John, Frank and Robert. Mom was a jack of all trades. She drove the school bus, trapped coyotes and bobcats in the winter, reupholstered pickup and tractor seats (any kind of seat), made hundreds of pairs of chaps (believe it or not she didn’t keep count), made leather pillows, she was a Humboldt County Commissioner, meat cutter for Dora Lasa at Quinn River Mercantile, bartender at the Gem Bar, helped Dad on the ranch, cowboy girl, sheepherder, hay hand, and photographer. Sammye loved scrounging for purple bottles, antiques and looking for arrowheads. A “collector”, an avid reader, worked puzzles (to keep her mind sharp) and used to love to play pinochle. She was a marvelous cook, known for her homemade bread and huge meals. If you were around the table at mealtime, she would feed and water you. Mom loved her workhorse teams. Sammye and “pal” Donna Still would take their wagons and teams on cattle drives around Fields, Oregon and along the Steen’s Mountains, cooking for the cowboys and hauling their gear. She even helped Santa out a few times, getting him to the Kings River Community Hall in her horse drawn buggy, at Christmas. Dan and Sammye sold Nine Mile Ranch to their son John and his wife Renae. Semi-retired they moved to Lakeview, Oregon. The two worked refurnishing furniture together. Dad was the “fix it” man and Mom did the reupholster work. After their son, Bob, died, they moved back to Nine Mile. 2014, Mom and Dad were named Ranch Hand of the Year, at the Winnemucca Ranch Hand Rodeo. She was honored to be recognized by their peers and very proud that Nine Mile would be 104 years old. Dad passed away October 7, 2013. Mom continued living at the ranch until the day she died. She was preceded in death by her parents, her step-father Donald Leighton, husband Daniel, brother Tom, and son Robert. Sammye is survived by her brother Walter Johnstone, sister Ann Johnstone, “nephew-brother” Leo Leighton, children Eddyann (Dan) Filippini, John (Renae) Ugalde and Frank Ugalde, grandchildren Max Filippini, Mary Filippini, Victor Ugalde, Hank Filippini and Sam Ugalde, great grandchildren Brooke Filippini and Cole Filippini, sister-in-law Donna Ugalde, daughter-in-law Julia Ugalde, several cousins and her beloved four legged friend and companion “Choch-o”. She was “Aunt” Sammye to numerous nieces and nephews. Mom had lifelong friends, new found friends and neighbors that she loved dearly. If you were a stray, you wouldn’t have been one for long with Sammye aka ”Sam” aka ”Grandma Sam” aka “Ma” aka “Sis”. In lieu of flowers memorials may be made to Kings River Valley Community Hall Fund, 35405 Kings River Rd, Orovada, NV 89428—Rope for Hope, 44105 Big Creek Rd., Denio Hwy, Winnemucca, NV 89445—Shriners Hospital or the charity of your choice. This poem was written by Sammye’s cousin Larry Monroe. Mom’s father, Samuel and Larry’s mother Mary were twins.